What exactly makes bananas go brown? I know that often oxidation processes are mentioned when referring to the color change from yellow to brown in bananas (specifically: those that you get everywhere in supermarkets, with no seeds). However, I am really interested if there is a specific oxidative pathway that is generally followed in this process, and whether it has been examined. Banana Polyphenoloxidase. Preparation and Properties. 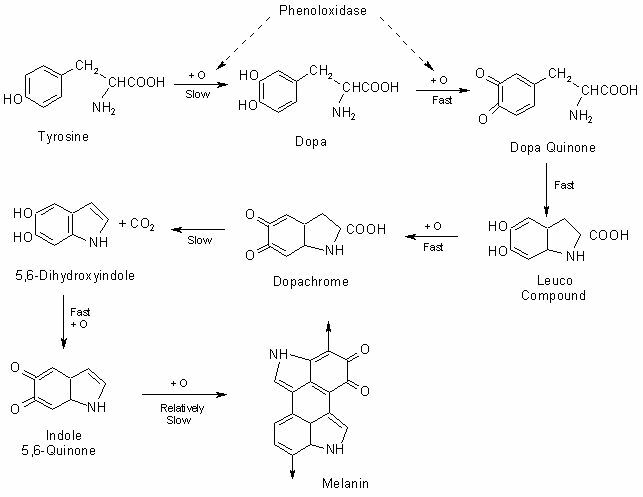 Polyphenol oxidases in plants and fungi: going places? A review. Not the answer you're looking for? Browse other questions tagged biochemistry food fruit or ask your own question. Why do bananas turn black after some time? What makes a wet dog so stinky? What makes alcohol harmful to mammals? What makes teeth feel sticky after drinking Coca-Cola? Why is brown fat brown? Does eating bananas help digestion? Are bananas C3, C4, or CAM plants?